Release 9.1.8 provides our CyBlock Cloud customers with the ability to create additional administrator accounts that can log on to CyBlock Cloud and access all of its features. You are provided with five additional logon accounts, but can request more logon accounts from Sales. In this release, CyBlock Appliance, CyBlock Software, and Cyfin logon accounts will be notified via e-mail when their password is reset or when it is changed. Also for these products, the file name of report e-mail attachments will be in the format selected in Report Options. For Cyfin customers, the new Check Point Syslog log file configuration allows you to easily use our built-in syslog server to manage your syslog data. For all products, the product Help has been enhanced to open to the window-level topic for the screen when you click the Help link. These as well as other enhancements are highlighted below. The ability to create five additional admin accounts is now available in CyBlock Cloud. Current cloud customers should contact Sales to change this number if necessary. The Create Logon Account page allows you to create an additional logon (admin) account by entering an e-mail address. The additional administrator will receive an e-mail to log on and change the temporary password assigned by the system. The Delete Logon Account page allows you to delete a previously created logon account. It shows the e-mail addresses for only the additional logon accounts, not the admin e-mail address tied to your customer account. Cloud logon accounts will be notified via e-mail when their password is reset or changed. Resetting Your Password. On the Logon page, when you click the “Forgot password” link to reset your password, you will receive an e-mail with a temporary password. Use this password to log on and change the temporary password for your account. Changing Your Password. When you change your password on the Change Your Password page, you will receive an e-mail notifying you that your password was changed recently. Users should contact their network administrator if they did not initiate this change. Report File Name Format. The file name format specified on the Report Options page is applied to report file names if “E-Mail” is selected for the report delivery when creating reports. Zipped files will contain reports with friendly file names, but will retain the UUID.zip format. Check Point Syslog Log File Configuration. The Check Point Syslog log file configuration has been added to the drop-down field on the Select Log File Type screen. After selecting “Check Point Syslog” and clicking Next, the subsequent screen allows you to use the Cyfin Syslog Server. Product Help. The product Help is context-sensitive so that when a user clicks the Help link in the product, the Help system opens to the window-level topic for the screen. Pairing Cloud Server. On the Hybrid or Directory Agent Configuration page, the new Cloud Server field displays the pairing cloud server to which your CyBlock installation is connected. You may change this server if instructed to do so by Technical Support. 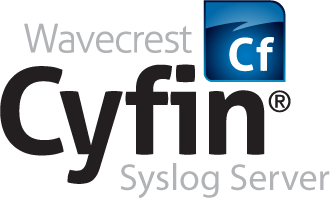 We are pleased to announce the release of the Cyfin Syslog Server. This new feature allows our customers to send syslog data directly to Cyfin. Previously, customers would have to install and configure a third-party syslog server. This new feature will streamline the setup process and simplify administration for our customers. There is no limit to the number of configured syslog servers, and each syslog server can be set to receive syslog data from different firewalls, proxies, and gateway devices simultaneously. Cyfin will then aggregate the data across all the configured syslog devices and generate a single report that contains all the information you are looking for in an easy-to-read actionable format. If you don’t see your device listed, please contact us or upload a sample log and we can quickly add it to our supported list. If you are at version 9.0.5, you can upgrade to the latest release by going to the Help – Check for Updates screen in your product. 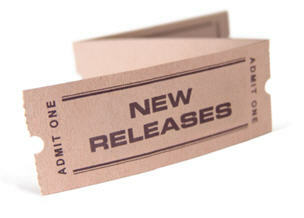 If you are not at version 9.0.5, you can download the latest release by going to Cyfin Downloads. We are pleased to announce the release of a new version of CyBlock Appliance, CyBlock Cloud, CyBlock Software, and Cyfin. In this release, you will find corrections as well as enhancements to the products. For CyBlock, several enhancements have been added including the Application Controls feature that allows your users to view only specific YouTube videos and the new Authentication Manager that lets you to set up cookie authentication. Here are highlights of some of the enhancements. A Home screen provides an overview of the organization’s Web use for the last 7 days by displaying charts of Web-use visits, top users, top categories, and bandwidth usage. Top charts show the top users, groups, categories, and sites by visits, hits, or bytes for a selected time frame. Trend charts provide trends on users, groups, and categories by visits, hits, or bytes for a selected time frame as well as trends on denied and allowed hits traffic. Wavecrest Syslog Server. The Wavecrest Syslog Server is now available and allows you to send syslog data to the server at a configured port. Previously, you would have to install and configure a syslog daemon. Go to Data Management – Log Data Source – Setup to create or modify your syslog log file configuration. You will be able to enable the syslog server, select a port type, and enter a listening port. Application Controls. This new page gives you the ability to allow only specific YouTube videos. You can associate an allowed YouTube video with your blocking policies for Web Categories in which TV/Video Streaming is blocked. A number of video ID formats are accepted. Cookie authentication is now available providing you with another type of proxy authentication to support your organization. Rules – Rules for various network definitions can be set up to specify the authentication type for each entry. These entries include an individual IP address, a range of IP addresses, and a host name. NTLM – On this tab, you specify if Web applications that fail to authenticate will be automatically or manually bypassed. Cookie – On this tab, you define how long the cookie will persist if using cookie authentication. You can also specify and preview the details of your cookie authentication logon page. Bypass – This tab allows you to automatically or manually bypass Web applications that do not authenticate and is available in CyBlock Appliance and CyBlock Software only. Cache – This tab allows you to set up login name caching to cache the user name and IP address of every authenticated user and is available in CyBlock Appliance and CyBlock Software only. Add Group or ID – The e-mail address for an ID must be added to use cookie authentication. Modify Group or ID – The e-mail address may be modified for an ID. Search for an ID – The e-mail address is display only. When cookie authentication is enabled and a user tries to access a Web site, a logon page is displayed that will allow users to create an account. When entering their credentials (i.e., e-mail address and password), you can require users to agree to the AUP before continuing on by configuring this option on the Authentication Manager – Cookie tab. Once credentials are entered, the user will be redirected to the Web site. In the setup screen and monitor, under Display Options, the Authentication Type check box allows you to see the type of proxy authentication next to the user name in the monitor (e.g., user(cookie)). This feature is helpful for Technical Support. Filtering Audit Reports. The ability to filter data by user, IP address, category, search term, and URL has been added to audit reports. To see the full release notes for your product, visit our Web site or the new Wavecrest Knowledge Base. If you are not at version 9.0.5, you can download the latest release by going to CyBlock Software Downloads or Cyfin Downloads. To upgrade CyBlock Appliance, please contact Technical Support at (321) 953-5351, Ext. 4 or support@wavecrest.net.